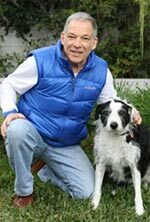 Virginia dog bite expert, Richard Polsky, PhD welcomes inquiries from Virginia attorneys involved in dog bite litigation. Dr. Polsky provides expert witness services nationwide. He has successfully served dog bite attorneys in Virginia, Washington, DC, North Carolina, South Carolina, Georgia, Alabama and Florida.